Home MMA News Click Debate: What’s the deal with UFC’s ‘four-month rule’ under USADA? Click Debate: What’s the deal with UFC’s ‘four-month rule’ under USADA? 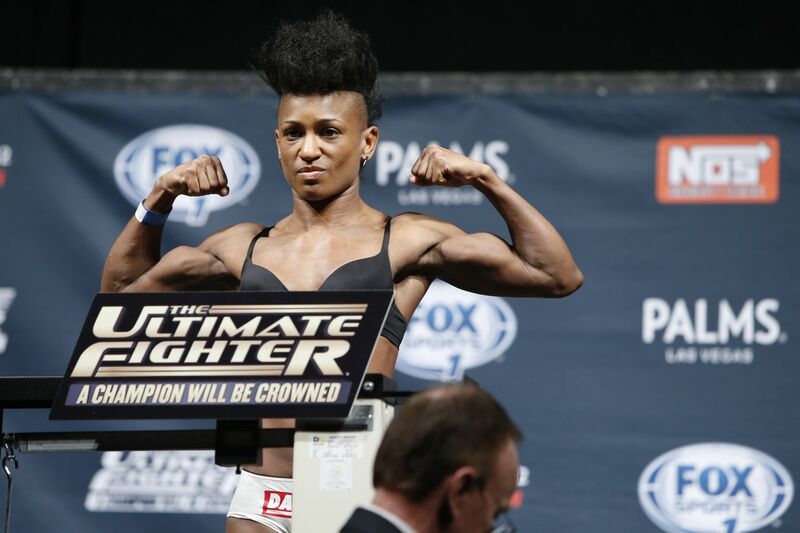 Angela Hill posted a video on her Twitter last week, explaining why she would not be stepping in on two weeks notice to face Jessica Andrade at UFC 207. In short, it was not Hill’s call. Hill, the Invicta FC strawweight champion, said in the emotional video that she was offered the Dec. 30 fight against Andrade, but was told later that she could not compete due to a rule in the UFC’s anti-doping policy. The provision (5.7 in the UFC anti-doping policy) states that fighters once under UFC contract who are returning to the promotion must be in the USADA drug-testing pool four months before stepping back in the cage. Hill was with the UFC in 2014 and 2015 before being released. The UFC is able to waive that rule under “exceptional circumstances or where the strict application of that rule would be manifestly unfair” to the athlete, but did not in Hill’s case. Shortly after I published an article on the situation, two former UFC fighters, Mike Rhodes and Jared Papazian, wrote to me on Twitter asking if they, too, would have to be in the USADA drug-testing pool for four months before entering the Octagon again. Under the current language of the rule, they would, unless the UFC decided to grant them an exemption like it did Brock Lesnar prior to UFC 200. The intent of the provision doesn’t necessarily match the language. The rule is in place so that a UFC fighter does not retire or voluntarily leave the promotion (and the testing pool), cycle onto performance-enhancing drugs, and then return on short notice without getting tested against an athlete who has been in the USADA pool. That is not a bad regulation to have in place. But why punish fighters like Hill who were cut? She didn’t leave the UFC under her own accord last year. Neither did Rhodes or Papazian. Also, it’s strange that the barrier for entry for former UFC fighters is now greater than it is for first-timers. The UFC can sign a fighter who has never been on the roster before and slot that athlete into a short-notice slot. No four months in the testing pool required. The UFC and USADA need to take a hard look at the language of that rule and there’s a chance that is in the pipeline. UFC vice president of athlete health and performance Jeff Novitzky told MMA Fighting that the UFC anti-doping policy is being reviewed by both organizations and changes could be forthcoming. Novitzky did not mention the “four-month rule” specifically as something that will be altered, just that it will be looked at. USADA spokesperson Ryan Madden confirmed with MMA Fighting that the anti-doping policy is being looked it and that is a common practice on a yearly basis with USADA and its partners. Novitzky said that because the UFC anti-doping policy is so “comprehensive and robust,” there was an expectation that there would be things that would need tweaking after a period of time, even though the promotion and USADA were “diligent in trying to play out every scenario” before the policy was written. Jordan Mein and Ben Saunders are two other fighters who had to be in the pool four months before competing again. That was going to be a requirement for Chael Sonnen and Georges St-Pierre, too. Sonnen has since departed for Bellator MMA and St-Pierre, who has been in the pool since August, has yet to come to terms on a new contract with the UFC. Lesnar was granted a waiver from four months of testing, because he only signed with the UFC about a month prior to UFC 200 in July. He was also never in the USADA program when he retired previously in 2011. Lesnar was tested eight times in the month between his signing and the fight with Mark Hunt — and he ended up testing positive for a banned substance in an out-of-competition screening. The results didn’t come back until after the fight, though, and Lesnar still competed, beating Hunt by unanimous decision. Lesnar has since been suspended one year and fined $250,000 by the Nevada Athletic Commission (NAC). The victory over Hunt has been overturned to a no contest. Lesnar’s doping case with USADA is still pending and he’s facing a maximum of a one-year suspension. Though it might not have mattered much since Lesnar tested positive close to the fight, the UFC has been conservative with granting waivers for the four-month period since then. Tim Elliott, who was on the UFC roster from 2012 to 2015, was granted a waiver from being in the pool for four months ahead of his flyweight title challenge against Demetrious Johnson earlier this month. That was a unique circumstance, though. Elliott was a cast member on The Ultimate Fighter 24 and all TUF castmates are tested by the UFC prior to the show beginning, the UFC said in a statement. Novitzky also gave the TUF competitors education on the USADA program and the UFC’s anti-doping policy while they were in the house, per the UFC. While the intent of the rule makes sense, change is definitely needed. It’s not fair to former UFC fighters to face a greater barrier of entry into the promotion than newcomers. Short-notice fights are a reality in MMA and many athletes outside of the UFC are banking on them as a way to get into the world’s leading promotion. As of last week, Hill didn’t know if she’d be in the UFC moving forward now that the short-notice opportunity is no longer there for her. Maybe the UFC should be a little more liberal with granting waivers, especially when it comes to fighters who did not voluntarily leave the UFC previously and there’s no suspicion of drug use. On the other hand, it’s a slippery slope when the UFC is making these kinds of decisions and there is pay-per-view money and ratings on the line. The decision to grant a waiver should not be based on the drawing power of the athlete or the card in which that athlete might end up being on. So, in that case, maybe that choice should be taken out of the promotion’s hands altogether and be decided by an independent panel, like USADA uses for certain processes, like therapeutic use exemptions (TUE). A change is needed either way. The UFC wanted Hill at UFC 207. Hill wanted to fight on the card. Andrade has now been yanked from the year-end event because she has no opponent with Maryna Moroz injured. No one really wins here. The letter of the law was followed, but perhaps not the spirit of it. The UFC and USADA need to take a hard look at the language of the “four-month rule” heading into 2017.